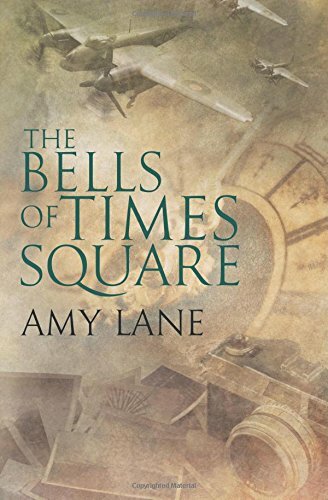 The Bells of Times Square by Amy Lane is a heart wrenching historical romance. I fell in love with the characters, was awed at the historical detail, and cried on more than one page! 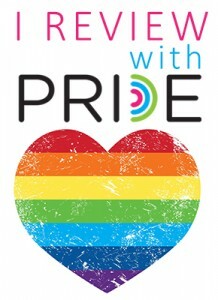 One copy of this book was provided through NetGalley in exchange for my honest review. All opinions are my own and this post contains affiliate links. 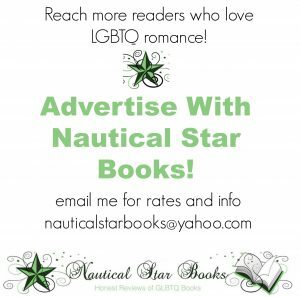 You can learn more about the author by checking out her website. You can also follow Amy Lane on Facebook and Twitter. As I sat here contemplating this review, I struggled with whether to give The Bells of Times Square a 4 star rating or a 5 star rating. There were things I liked about this book and things I wish had been written differently. In the end I went with a 5 star rating because the quality of the writing itself is 5 stars, even if I didn’t necessarily like the ending that the author gave us. The Bells of Times Square starts out in the present time. Nate is an old man, confined to a wheel chair due to a recent stroke. He cannot speak or move easily. He is, essentially, trapped in his body. He is on an outing with this grandson Blaine, who he has a very close relationship with. They are joined by Blaine’s boyfriend, although the two are not ‘out’ yet. As Nate listens to the love that so obviously flows between Blaine and his boyfriend, he is brought back in time to the days of the war, when he fell in love with a young soldier. Most of the story takes place during the war. Walter is a young soldier who comes from a very poor family. He joined the war just to have 3 square meals a day. Nate is an officer from a very well off family. Normally, these two men would never run in the same circles but a plane crash in enemy territory, French spies, a remote cabin and a whole lot of stress cause these two to find solace in one another’s arms. Of course, war is harsh on love, especially for gay men and things will not end well for these two. The Bells of Times Square paints a very realistic picture of what I have always learned in history class about this period of time. However, I learned a ton of stuff that my teachers never taught me. I was amazed to learn how aerial photography was used to get a view of what the enemy was doing on the ground. The information about the resistance and how many of the locals were trying their best to help the war efforts was also intriguing. Clearly, a significant amount of research was put into this story! The Bells of Times Square by Amy Lane is a tear jerker of a book and while I suspected that I knew how it was going to end, I really hated the ending. Not because it was poorly written or didn’t fit in with the rest of the story. But because I wanted a more traditional happily ever after. I wanted Nate to stand up and walk out of that wheel chair with Walter and have dinner with Blaine and his boyfriend and everyone lives happily ever after. Well, that is obviously not a realistic ending but that is what I wanted anyhow! Instead, I spent the last 30 minutes of the book sobbing my eyes out and wanting to throw away this horrible book but not being able to put it down! So, Ms Lane, while I wish Nate and Walter could have strolled hand in hand through Times Square and had a rich life together, I understand why they didn’t. And you still get a 5 star review because The Bells of Times Square is truly an amazingly well written story! That is some serious praise– thank you. I’m glad you enjoyed the story! I loved the story…even if I did want them to have a different ending!